In 1995, Stuart Murdoch’s life did not seem to be moving anywhere fast. The twenty-seven-year old Scotsman had been suffering for upwards of six years from the effects of myalgic encephalomyelitis, better known as chronic fatigue syndrome. Because his condition made even playing on the piano an exhausting endeavor, he was unable to find work. Living in Glasgow on public assistance, Murdoch joined “beat box,” a government program for the unemployed. He would later compare it to a “refugee camp for unemployed musicians.” The unemployed took a music training course and played music together. Once a month they were given access to a recording studio. 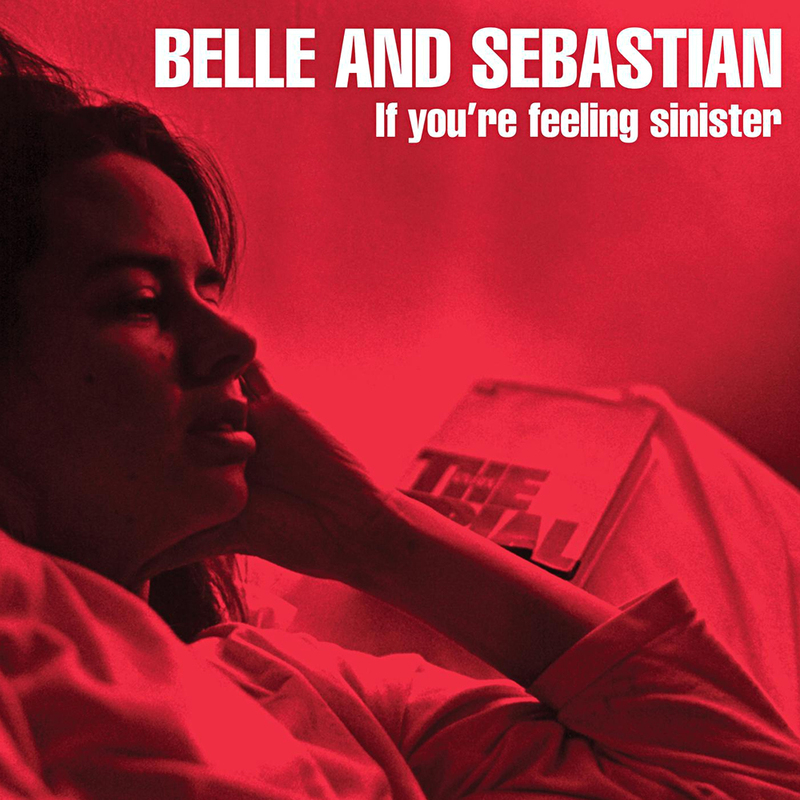 It was here that Murdoch first connected with the people who would form Belle & Sebastian; and it was here in the summer of 1996 that they recorded what are now widely regarded as two of the best albums of the 1990s, Tigermilk and If You’re Feeling Sinister. Though the beloved indie band has covered a range of genres in their nearly twenty-year career, from folk to shoegaze to chamber pop, and has stylistically referenced bands as disparate as The Left Banke and The Smiths, the elegiac wistfulness of If You’re Feeling Sinister has become their defining sound. Even after they gained renewed critical acclaim and an unprecedented level of public attention with The Life Pursuit (2006), a collection of irresistibly danceable power-pop anthems, critics and long-time fans rightly pointed to their earliest work as their magnum opus. Writing and recording twenty songs in the space of a few weeks would be a career-worthy accomplishment for any band. But Belle & Sebastian went a step further, crafting songs that seem to have been whispered out of the ether, songs that don’t so much seem to have been written as captured. Take, for example, the Satie-like simplicity of “Fox in the Snow.” With piano, guitar, violin, and vibraphone, the band conjures up a serenely autumnal world in which soft-hearted youth have fallen on hard times. For me the special gift of Belle & Sebastian, my all-time favorite band, has always been its ability to evoke the rhythms and changes of the seasons, using lyrics and music to engage the senses so fully that it really feels as though the listener is standing on a wintry street corner in Edinburgh. If the lyrics are precious, they’re also devastatingly effective, compressing whole years of hope and despair and angst into the space of a few verses. “Fox in the Snow” showcases what would become one of Belle & Sebastian’s hallmarks, their knack for writing realistic, sharply observed character sketches about people who are young and lost and very much in over their heads. Just prior to the recording of If You’re Feeling Sinister, Stuart had moved into a bachelor flat above a church. There he worked in the parish hall and sang in the choir in between writing songs for the album. “I always wanted to write about normal people doing normal things,” he recalls in a Pitchfork documentary about the making of the album. “Because I wasn’t normal, I was out of the game. It was very attractive to me what normal people were doing.” So he set out to write songs about the “normal” folks he ran into in the streets and on the buses of Glasgow, though his own sly perceptiveness was always winking through, creating vividly eccentric figures who are instantly recognizable and yet somehow bigger than life: a track star who was driven to fame by the lure of getting to wear terry underwear; Hilary, who’s into S & M and Bible studies; Judy, who walks the streets dreaming of horses. In terms of pure atmosphere, the next two songs are probably the album’s high point. “Like Dylan in the Movies” recalls Murdoch’s experience of having to walk through Kelvingrove Park, a shady Glasgow park. The combination of guitar, strings, and xylophone powerfully evokes a sense of the year ending, of autumn, and twilight. “Dylan” is followed by the wintry and underrated “Fox in the Snow.” The placement of these two songs on the album, and their musical kinship, seem to suggest that one is a continuation of the other. It’s worth listening to the two back to back. However, the shortcomings of this song are more than offset by the eerie brilliance of the one following. If You’re Feeling Sinister’s title track is also the album’s standout, with a backing track of children playing and enigmatic lyrics that have been variously explained as a satire of organized religion and the final thoughts of two people preparing to kill themselves. Finally, “Mayfly” is a jangly guitar ballad in the style of The Byrds, while “Judy and the Dream of Horses” closes the album in high spirits with an almost pure distillation of pop craftsmanship. Not satisfied with the production quality of the original recording, Belle & Sebastian recorded a live performance in 2005 for All Tomorrow’s Parties. It’s worth hearing just to assess the differences between the two recordings—in 1995, the band was young and unproven, while in 2005 it was one of the most successful indie rock bands in the world. But the original is the reason for their breakout success, and it remains the better version of their best album.